How do we cram a season’s worth of splitboarding into Board Test Week? It’s an admittedly imperfect science, a chemistry of constant tinkering. Start with 40 out-of-town gearheads and Colorado rippers; acquire promising decks ranging from untested shapes to previous favorites; then shred—on the notoriously steep Crested Butte Mountain Resort, with world-renowned Irwin Guides, from a cat at Monarch Mountain and finally on a two-day strike mission to the Lost Wonder Hut. And this year, through the battle-worn haze of dislocated shoulders, a flu outbreak, a handful of hangovers and several mercilessly battered boards, testers soldiered on to find the best in splitboard gear—and these four splits, one boot and one binding won out over the rest. 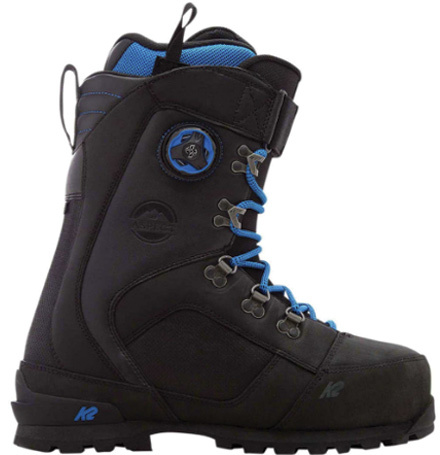 $480 – k2snowboarding.com | SIZES: 7-13 | WEIGHT/PAIR: 5.4 lbs. Did you pick a boot of choice for women? If not, why not? If so, what is it? We didn’t choose a women’s-specific, splitboard-specific boot because we’ve honestly yet to see one come to market. Board Test Director Drew Zieff is a little hesitant to make that claim, however, because, he says, there might be some tiny brand somewhere making these super-niche boots. 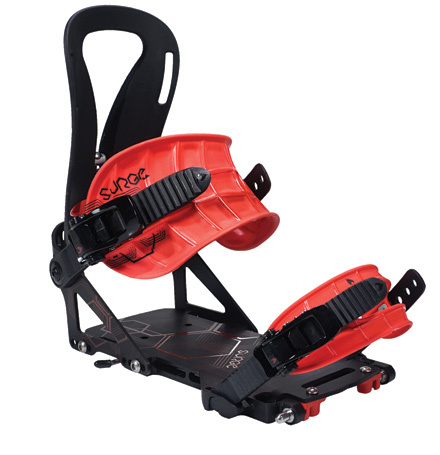 “In the meantime,” he says, “we’d recommend the Tourist—one of the more comfortable and softer touring boots tested—for female splitters who are anywhere from beginner to advanced and just in it for a good time; or the K2 Aspect, which is stiffer, more responsive and has a burlier build and a more aggressive outsole for anyone pushing it on technical terrain.” The other option he mentions is a women’s-specific hardboot setup. Nice mention! I just got the ThirtyTwo TM2 XLT which, while not split specific, is a badass boot for back and front country. Stoked that a few of these brands are making quality gear for women. Thanks for pointing this out. I just bought a pair of the thirty-two Jones mtb boots and was disappointed to see no mention of women’s split specific boots in this editor‘s choice list. And most of the boards tested are sized for larger people. I concur on the women’s Jones Solution split – I’ve been riding this for a couple seasons and it’s amazing. 32 absolutely slaying it in the boot game, especially the Jones MTB and Women’s model! Previous boots were Burton Supremes. Those are considered a stiff boot but my new boots are waaaaay stiffer. How does the Weston Backwoods fair in tight trees and harder surfaces? Is it a good choice for East Coast Backcountry?